The Nissan Sentra has been delivering its winning recipe of superb value, low maintenance costs and thrifty fuel mileage for almost three decades. Nestled between the subcompact Versa and midsize Altima, the 2012 Sentra offers class exclusive amenities along with two 4-cylinder engines matched with either a sporty six-speed manual gearbox or a Continuously Variable Transmission (CVT). Nissan the new genesis- meet a car that fits all your needs and out of your head. 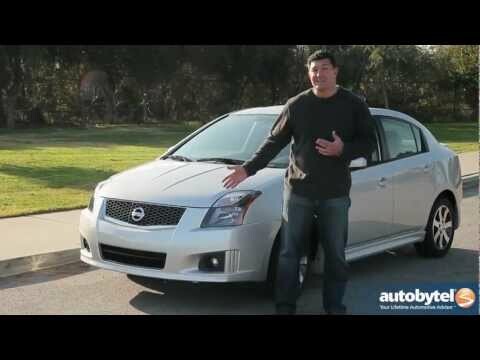 The 2012 Nissan Sentra is a beautiful and sleek car. It is extremely reliable as it is imported from japan. The performance is easy. It takes off right away with no drag. It is comfortable with nice seats -non leather. The features are automatic windows, steering will is equipped with Bluetooth, volume control, cruise control, volume and you can change music stations. The worst issue with Nissans are their electrical systems. The sensor needed to be reset and the motor in the windows are going. Other than that this car could last you over 250k miles if you take really good care of it. Nissan Sentra review, Great family car! I originally got this car for a family vehicle and so far it has done a terrific job. It has decent trunk space which is important. It performs well, the only issue I had was when I switched out the gas cap and I believe it messed with the air intake or something causing the car to not work properly. Also, for some reason the front end squeaks. Also, I really like that it has a bluetooth hands free system. It makes things easier when someone calls. Another feature that I like is the distance to empty future which tells you how many miles you can go before you run out of gas. Saving gas and not compromising style. I really enjoy driving my 2012 Nissan Sentra it is a really pretty blue color and I do not ever have any maintenance issues with it I have put over 80, 000 miles on it in a short amount of time but the interior is what lacks the most the front of the car is spacious but there is no room in the back it is a very small vehicle but the gas mileage is great it is definitely reliable and does great in the snow it does not have any Bluetooth which was disappointing but the sound features in the vehicle are very nice and for being a small car and only a 4-cylinder it does have.